Dr. Sean Fahid graduated from the University of California Los Angeles in 1999 with a Bachelor of Science degree in microbiology and molecular genetics. 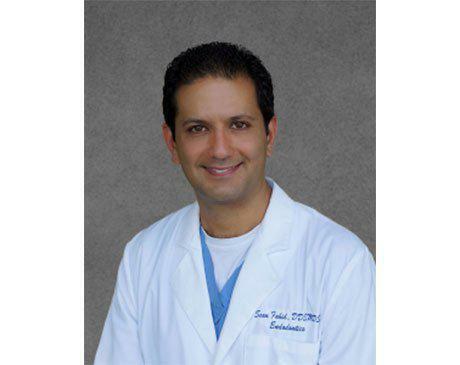 In 2003, Dr. Sean Fahid obtained his Doctor of Dental Surgery Degree (D.D.S.) from the University of Southern California School of Dentistry. Looking to further his education, Dr. Fahid completed a one-year residency in hospital dentistry at the West LA VA Medical Center in 2004. Dr. Fahid subsequently enrolled at the University of Connecticut, where he completed a three-year post-graduate program and earned his certificate in endodontics and Master of Dental Science Degree in 2007. Having dedicated years to advanced training, education, research, and patient care, Dr. Sean Fahid is well-trained in both conventional and surgical endodontics, using the latest available technologies. Dr. Fahid also holds a part-time faculty position at UCLA School of Dentistry’s Endodontic Department.